In May 1996 we got our big TV 'break', due to popular demand for our promo videos, which had enjoyed some rotation on MTV's more eclectic programmes. We spent a few days preparing a couple of short pieces, 'Frozen North 2' became a quite rigid 10 minute arrangement. The second piece was based on 'Zabriskie Point', a piece we had recorded a mere 16 years earlier. Re-titled 'Ha'penny Bridge' after a long gone Saltburn landmark, in preparation for the TV show, we extrapolated upon the basic ideas and found ourselves with more than an album's worth of material. 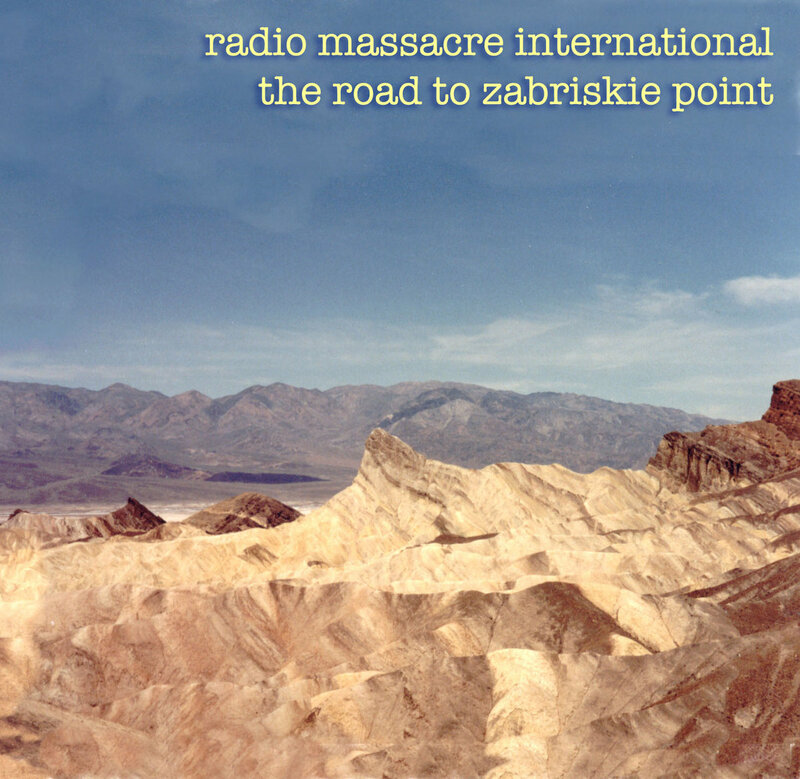 These recordings were used as the basis of the long unavailable 'Zabriskie Point' album issued in 2000. Here, the full unedited takes from the sessions are released for the first time. As the TV session approached, our friendly android Parsley visited the Northern Echo studio with our costumes for the big day, and to hear a preview of the pieces he would be moving to. Tracks 5 & 6 are what we performed for him. On the day itself in the TV studio, we were limited to a couple of short takes each, enough to find 20 minutes of suitable music for the session. The takes are heard here in their entirety for the first time, along with a couple of choice snippets of behind the scenes dialogue. To complete this set, a recently unearthed piece of archive from 1980, and the original recording sessions for 'Zabriskie Point', including the pre-overdubbed version of the piece, which was originally conceived as a 3-part composition, although in reality, part one took so long that we never got around to the rest ! We were callow youths of 17 when we recorded the original, and if you'd told us then that we would be on European Television perfor.m,i.ng the piece by the time we were 33...well, we might have believed you.